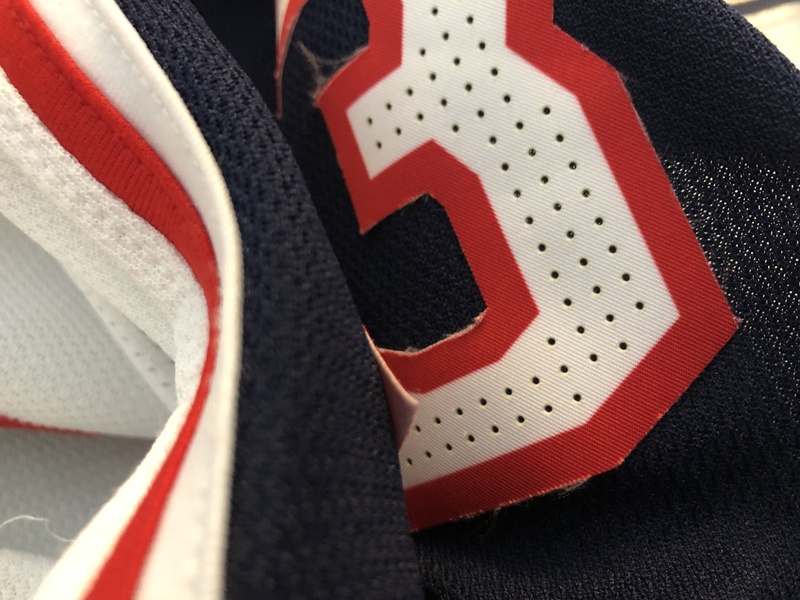 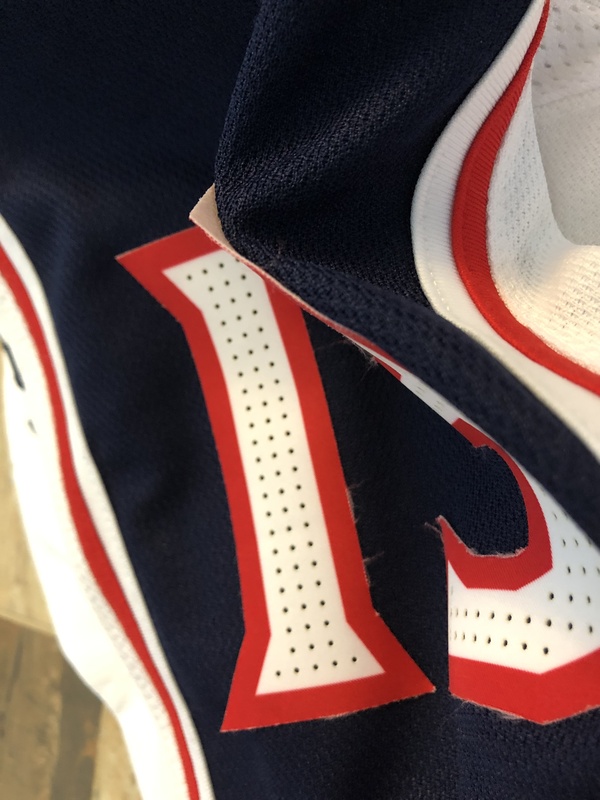 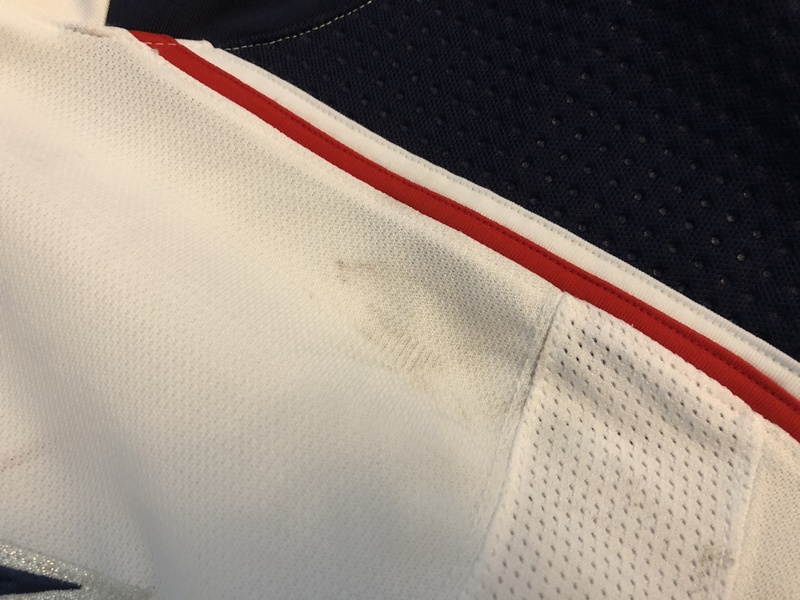 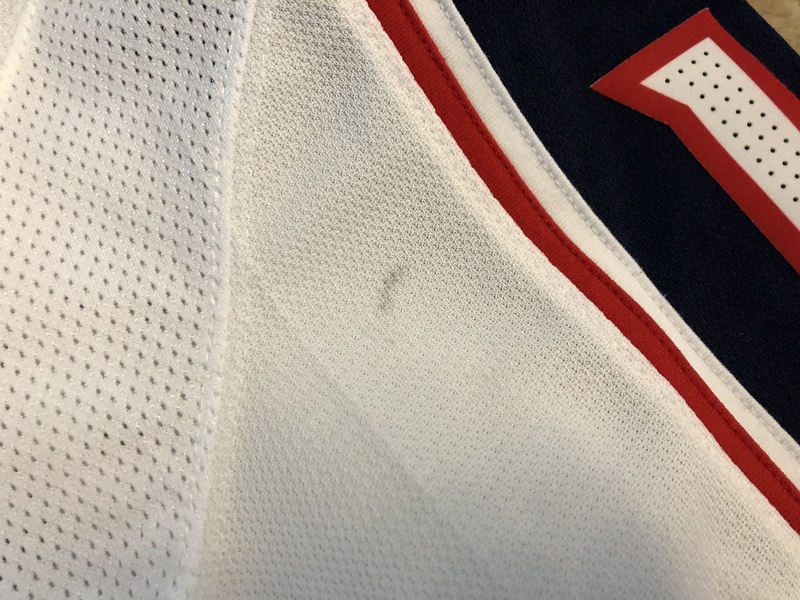 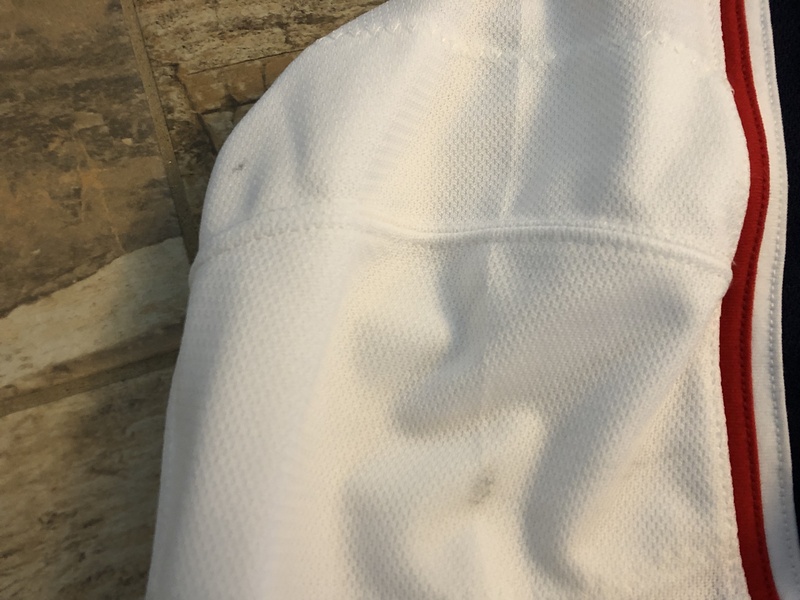 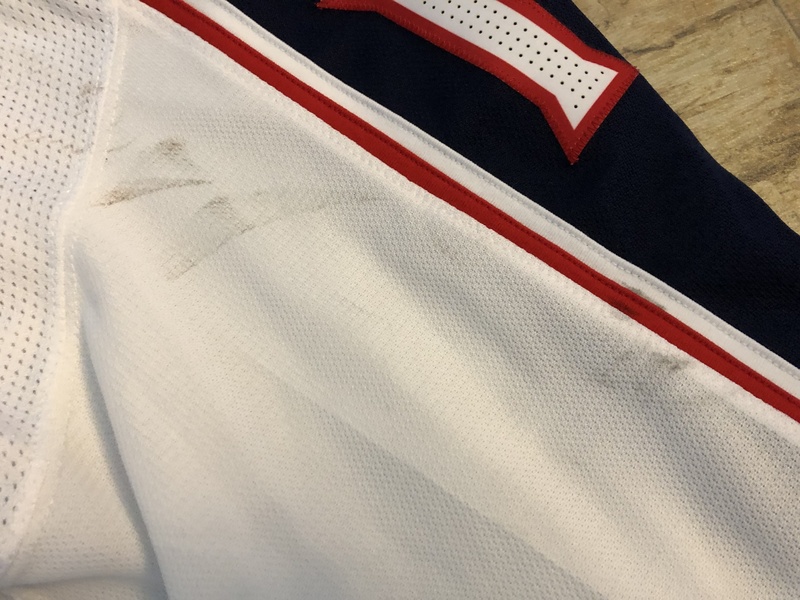 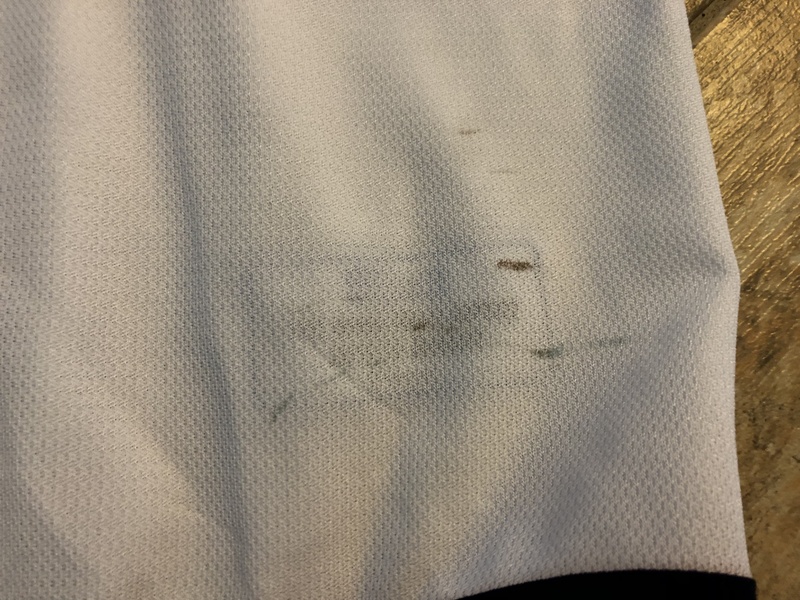 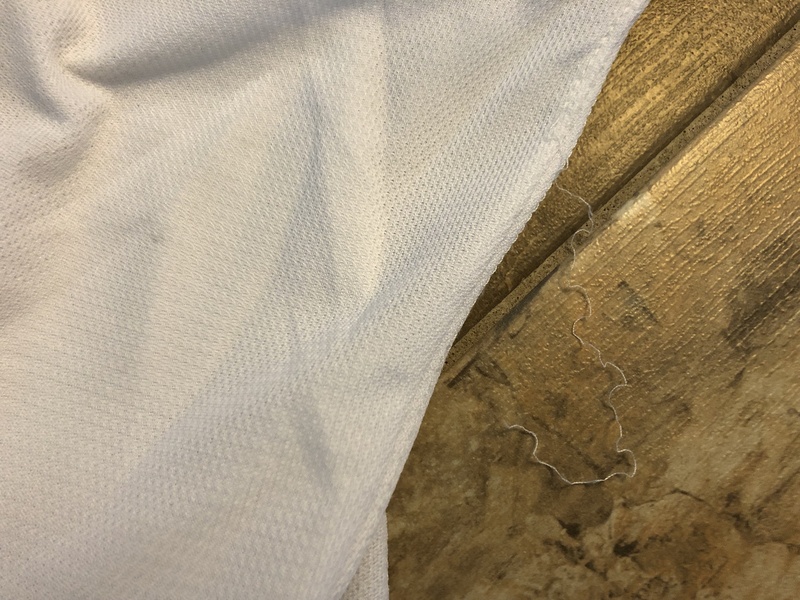 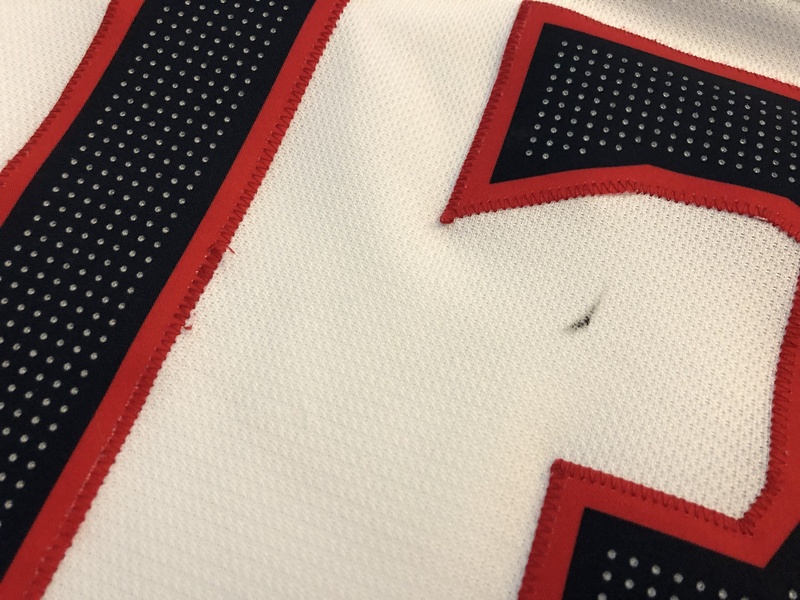 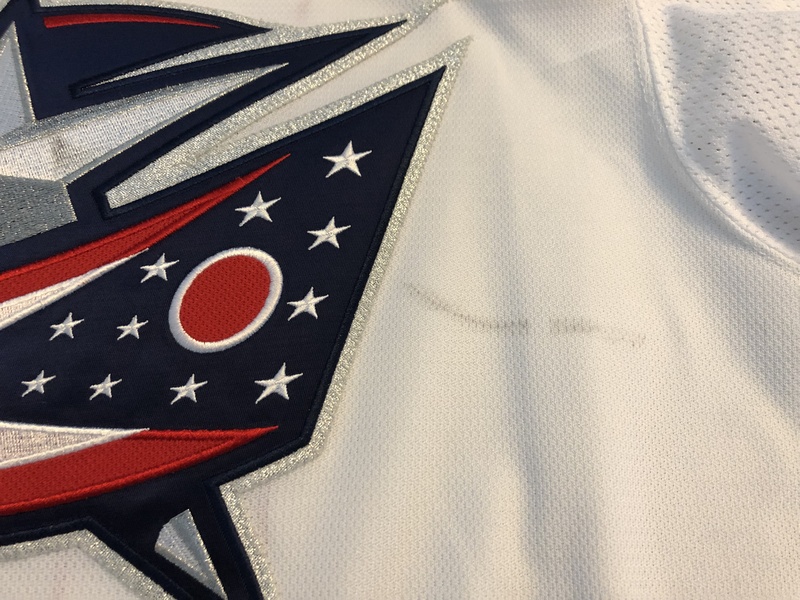 There are no repairs on this jersey but there are a ton of stick and puck marks throughout, including two that are easily photomatched. 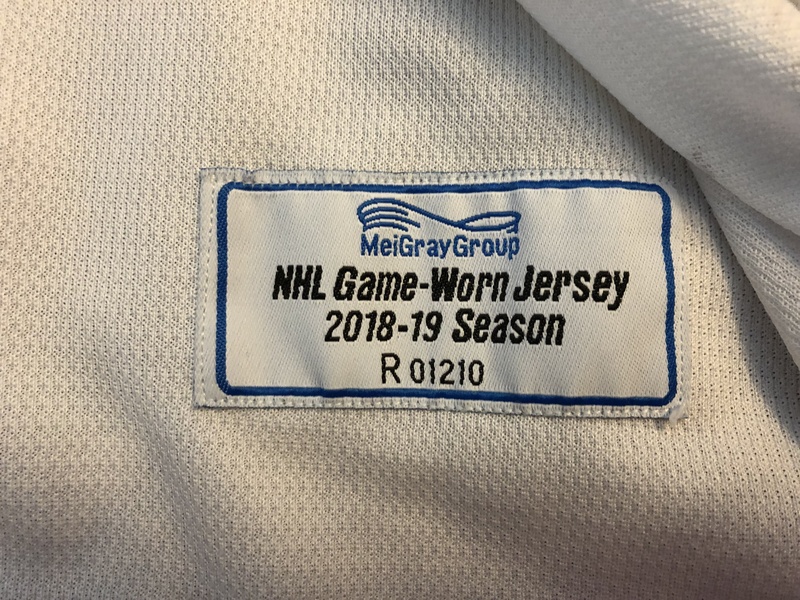 Cam wore this jersey to kick off what was a career season, seeing him score 41 goals and 28 assists. 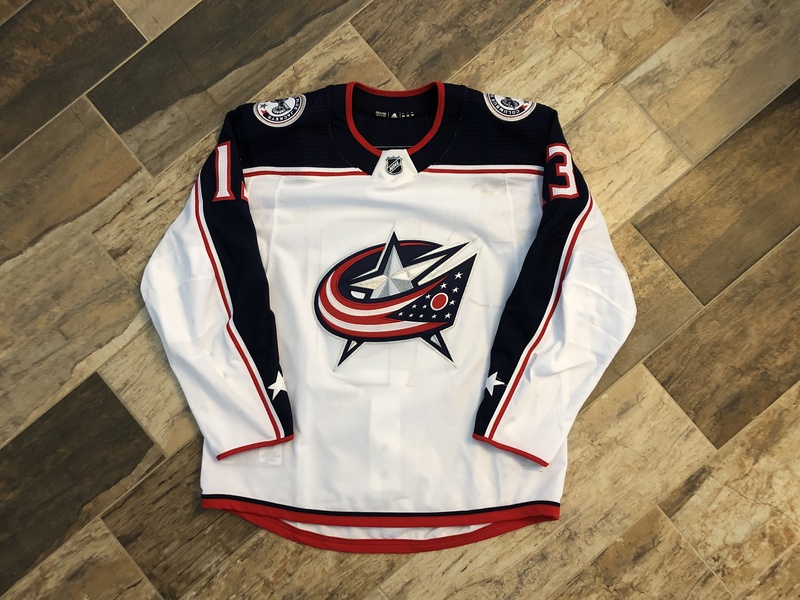 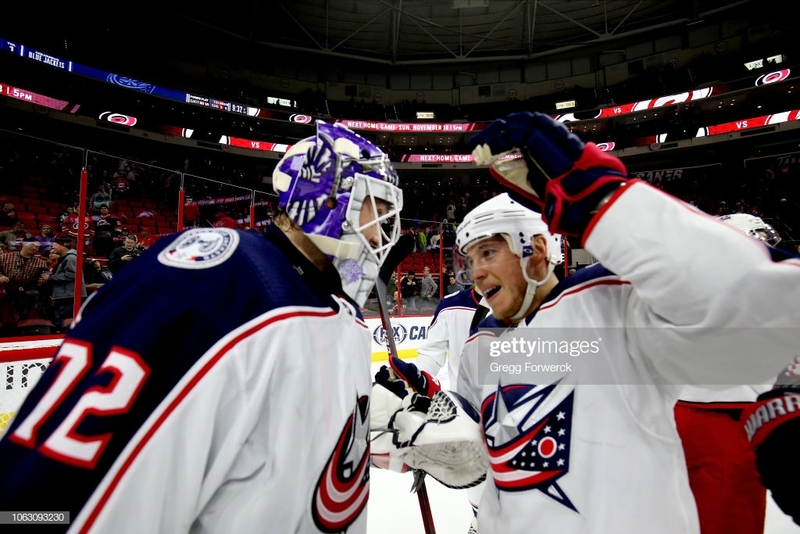 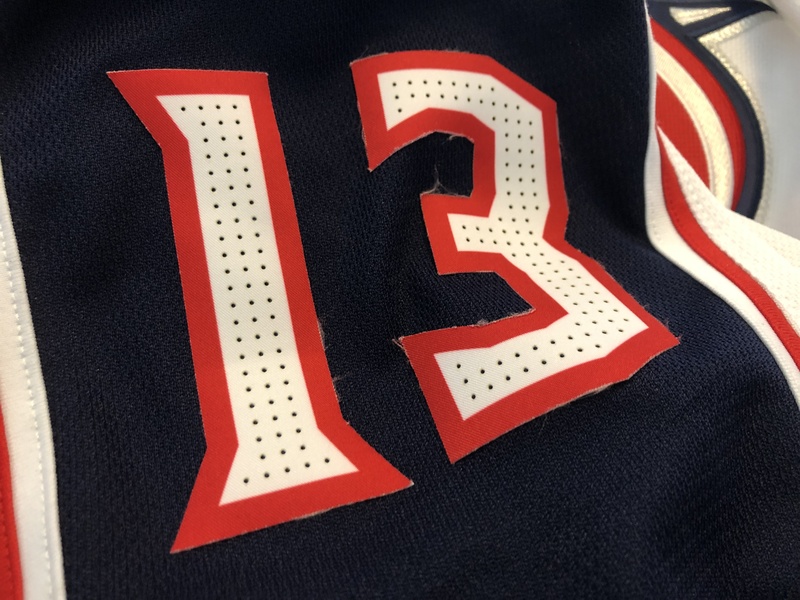 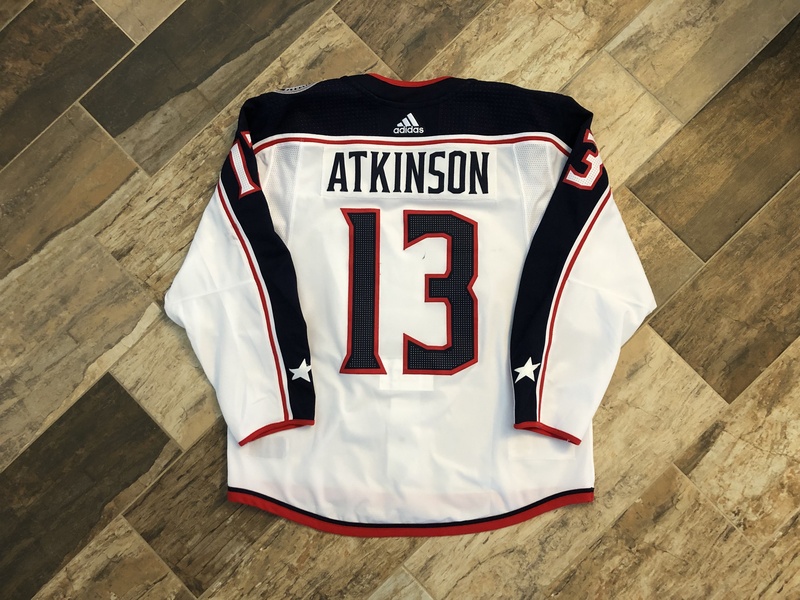 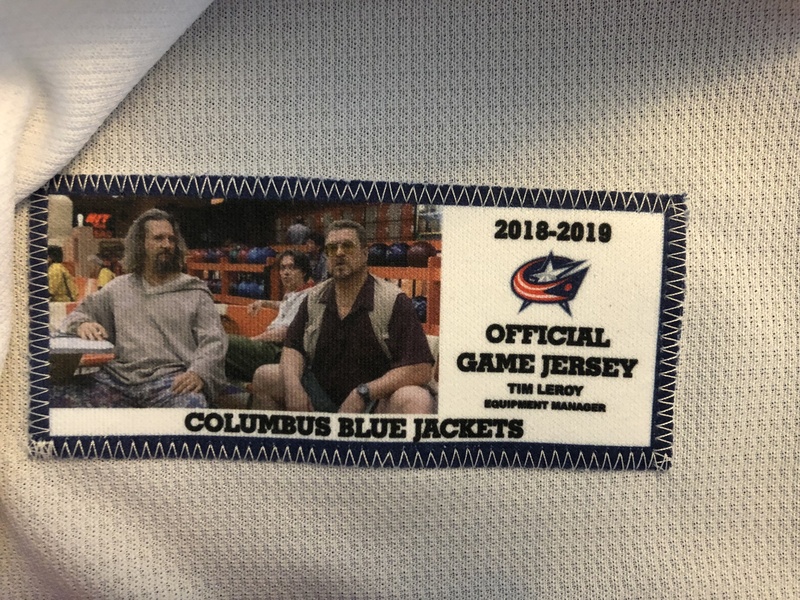 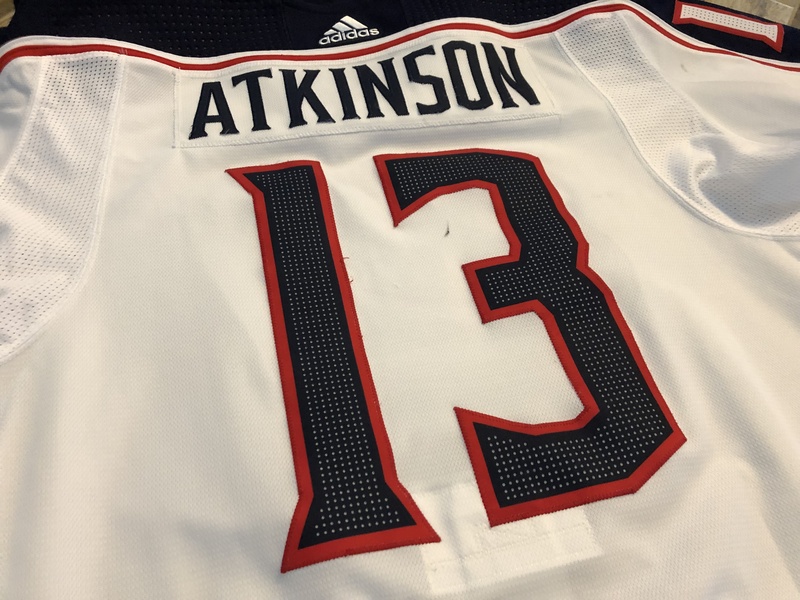 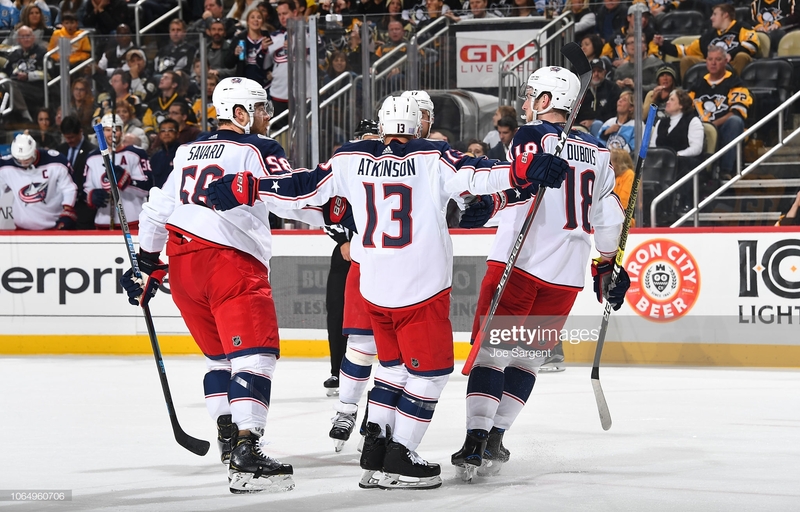 Atkinson scored his fifth career Hat Trick in this jersey against the Carolina Hurricanes on November 17th and is photomatched to that game, as well as others. 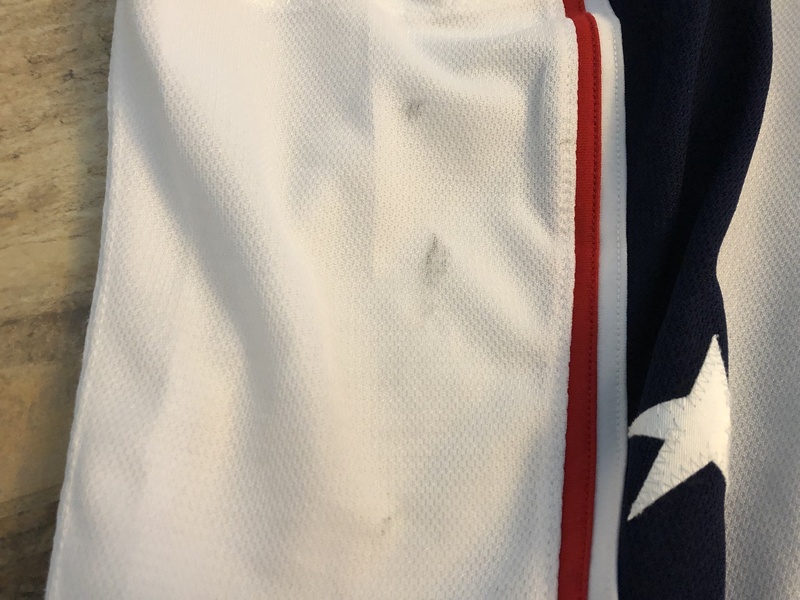 Interestingly, the sleeve numbers on the right arm were not stitched on and are peeling up.